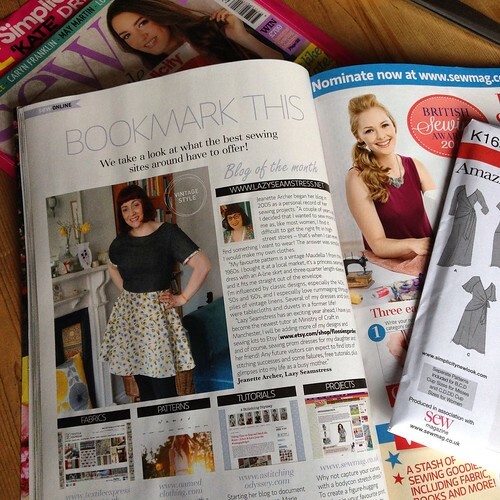 I am thrilled to be featured as "Blog of the month" in the September issue of Sew, home and style magazine. I had to resist running out and buying every copy I could lay my hands on, although I have encouraged everyone I know to rush out and buy it! Hello to anyone reading here for the first time after buying the magzine , you are very welcome, say hi in the comments below, I love to hear from readers. 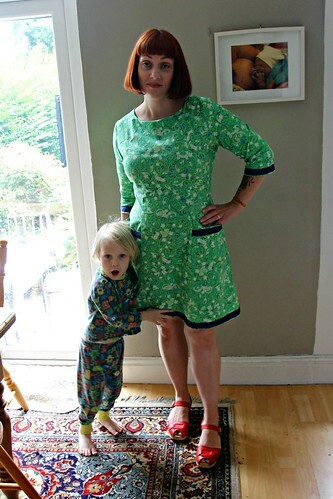 I was asked in the article which is my favourite sewing pattern, without hesitation I said the vintage Maudella 5213. 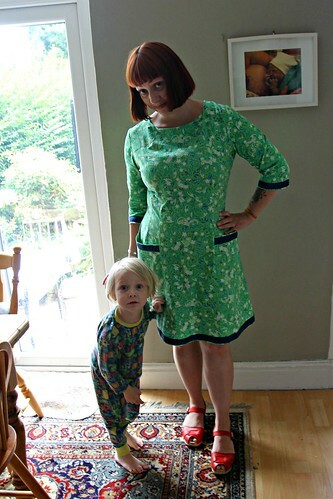 I first made this dress for last year's fall for cotton challenge, and loved it so much I've made three more since, the latest being this bright printed version. I spotted this cotton on a recent shopping trip to Abakhan in Manchester and knew it'd make a great summer version of this pattern, but I think with tights and a cardy it'll take me through to Autumn too. I am still in love with the three quarter length sleeves, they are practical, but also show off my tattoo nicely. The squared off princess seams are still a challenge, but after making four versions, I think I am finally getting to grips with them. 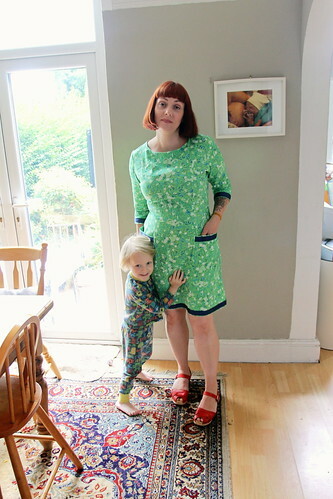 I slightly changed this dress compared to the first three, putting a centre back seam in, and adding an invisible zip at the back instead of on the left side. I haven't decided yet if I prefer it or not. 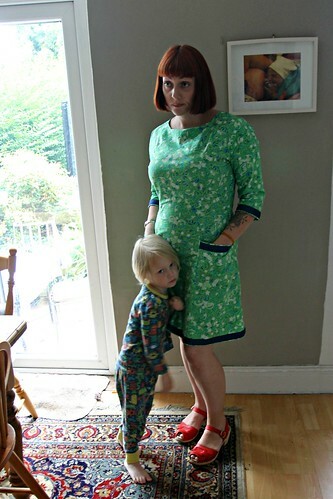 India offered to take some photos, Ernest insisted he needed to be in them too, despite still being in his too small pyjamas. The resulting photos make me laugh, he's having a great time, while I look mostly annoyed! 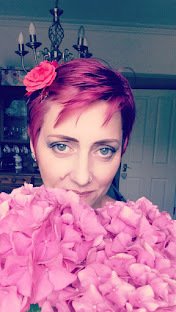 Congrats and very well deserved; your is my favourite sewing blog! Thank you Melissa, what a lovely thing to say! Oooh, what a gorgeous frock! I love how the print compliments your tattoo :) Your Ernest is a cute boy! Thanks Sarah, I love how my tattoo compliments most of my dresses. Hope you get lots of new visitors you deserve to. 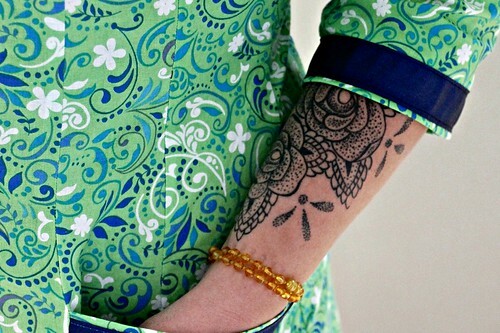 Lovely dress, I really like that fabric styles and it complements your tattoo. Haven't been to Abakan for ages, might be due a visit! Enjoy the rest of the hols. Oh yes Mags, get to Abakhan, I love that place! I found you via the article and have started dipping backwards through your blog. I really like the anemone skirt and am going to hunt out Deer + Doe and have a look at their patterns. My daughter is curvy and the skirt looks as though it would suit her shape well. 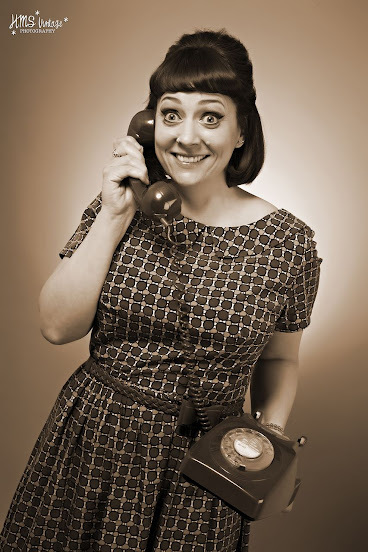 Thank you Pam, and welcome! I love the Anemone skirt pattern, I just cut out another yesterday! I am so happy for you!! I have made the wedding dress it is on the blog and it looks like I'll be making something for me, as none of the ebay dresses look right, argh!